Many businesses have started offering a “subscribe and save” feature, which allows customers to receive a product at regular intervals, rather than making a simple one-time purchase. Amazon was one of the earliest adopters of this feature in its modern format, but it has since spread among major online retailers and small companies alike. The idea is fairly simple: Give customers both a one-time purchase option, and the option to “subscribe” to a specific product, receiving it weekly, monthly, or even semi-annually, in a specified quantity. Usually the subscription feature comes with a discount per product, so consumers are incentivized to subscribe. Could offering this feature increase your total revenue? Multiple purchases. A customer will be presented with two options: make a one-time purchase, or softly commit to indefinite, recurring purchases in the future. 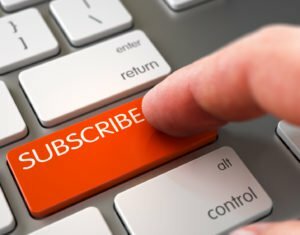 If even a fraction of your customers commit to future purchases, the mere option of subscribing and saving should increase your total revenue. For any product where a subscription makes sense, having the subscribe and save option is strictly better than only offering the one-time purchase. Consistent revenue projection. Encouraging customers to subscribe and save may also help you make more accurate revenue projections. If you’re able to retain a certain base of frequent-buying customers, you should be able to reliably predict at least a chunk of your monthly revenue, helping you stabilize your income. Depending on the size of your business, this could help you secure more funding or make smarter investments. Brand loyalty. Subscribing and saving is also a cheap way to secure more brand loyalty from your customers. If you can convince someone to buy something once, they may commit to buying from you indefinitely, because it’s just as easy as buying a single product. Ordinarily, every time a customer needs a product (like toilet paper or laundry detergent), they’re faced with a decision on which brand to buy from; if they’re subscribed to your service, the decision is already made. Don’t underestimate the power of convenience. Most customers don’t like the hassle of going to the store every time they need a specific product, or having to remember exactly when and how much to buy of a given product. Subscribing and saving takes away the guesswork (i.e., customers don’t have to set up manual reminders on when to buy the product), and spares them effort (i.e., they don’t need to make a conscious decision to make the purchase). Giving them a more convenient way to buy the products they want or need will add to your value proposition, and encourage more customers to choose you over a direct competitor. Profit margins. Not all customers will be willing to subscribe if it means buying the product at the same price as usual, but conversion will make sense if you give a discount. Unfortunately, giving your customers a significant discount means eating into your profit margins at least slightly. If your business is dependent on making a minimum profit margin, the subscribe and save feature might have to serve as a loss leader to generate more business. Ongoing management. Managing customer subscriptions inherently requires more internal processes; you’ll need to develop a way to receive and handle subscription requests on your website, and you’ll need additional staff to ensure that subscription orders go out on time (and to handle cancellations). Overall, however, the costs of these additional pieces of infrastructure pale in comparison to the additional revenue you’ll generate in the process. Product-specific considerations. You’re also probably already aware that not all products are equally likely to attract subscriptions. Items that need to be replaced periodically (like air filters or batteries) are common choices, as are perishable or frequently used and disposed items (like groceries or paper towels). But if you’re selling big-ticket items like computers or game controllers, odds are subscribe and save won’t be a feasible option. Consider your products and consumer demand carefully. Overall, the weak points of a subscribe and save feature are heavily outweighed by the advantages—as long as you have products that require frequent purchasing. Invest the time and effort to keep your product subscriptions up and running, and make sure your target demographics are familiar with how it works.